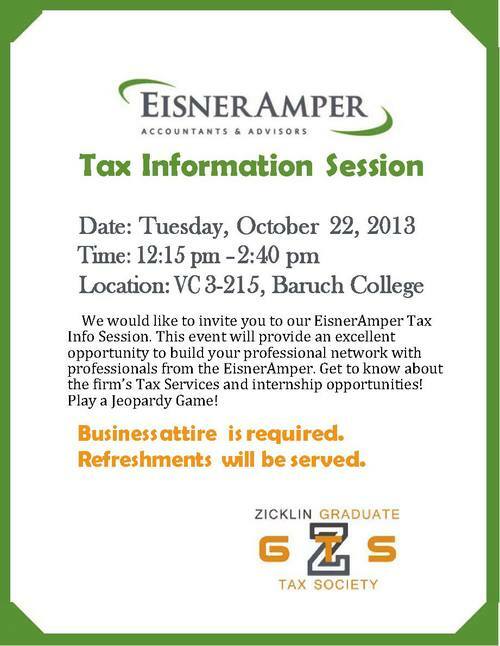 We would like to invite you to our EisnerAmper Tax Information Session. This event will provide an excellent opportunity to build your professional network with professionals from the EisnerAmper. Get to know about the firm's Tax Services and internship opportunities! Play a tax Jeopardy Game !